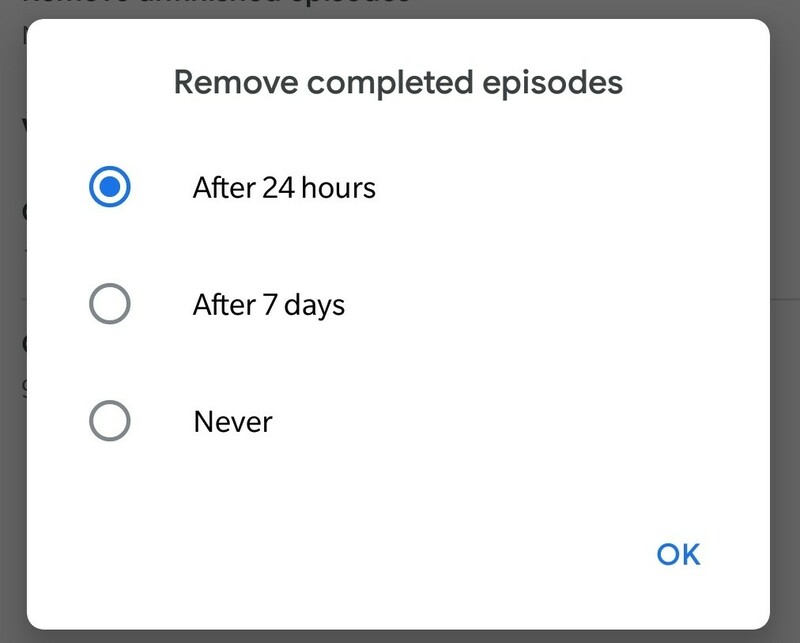 Why on Earth would you not include the option &apos;Remove when done&apos;? @javi I usually use Doggcatcher and Podcast Republic. I just wanted to check out of the Google app had come along since I tried it the first time. The settings are still frustrating.